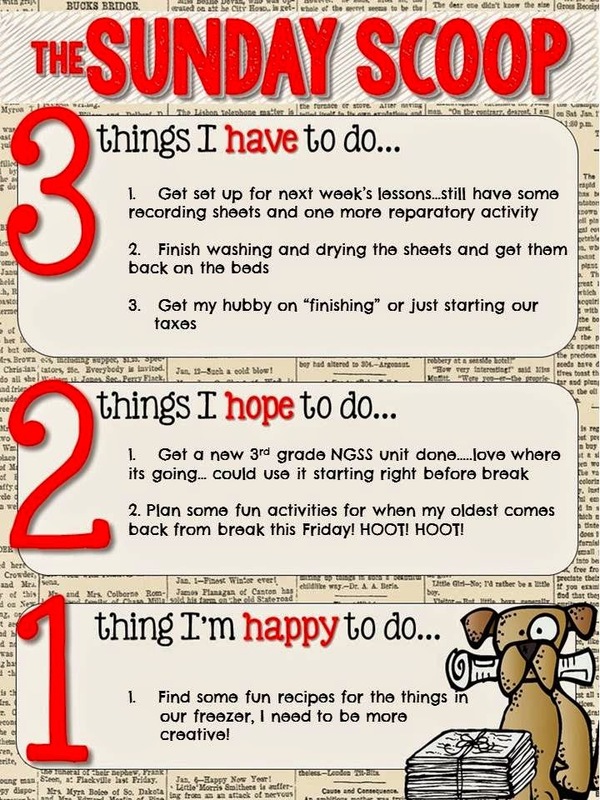 Nothing much this next week...we are almost at the end of our FOSS kids...so assessments...planning for new units...and supper is right around the corner...I need to be more creative. Sheets are ready to go in the dryer...taxes are on the front burner...I will sweet talk him with...maybe some pie...My oldest is on her way home for vacation starting Friday...life is good! Enjoy your week...time for the warm weather to show up!